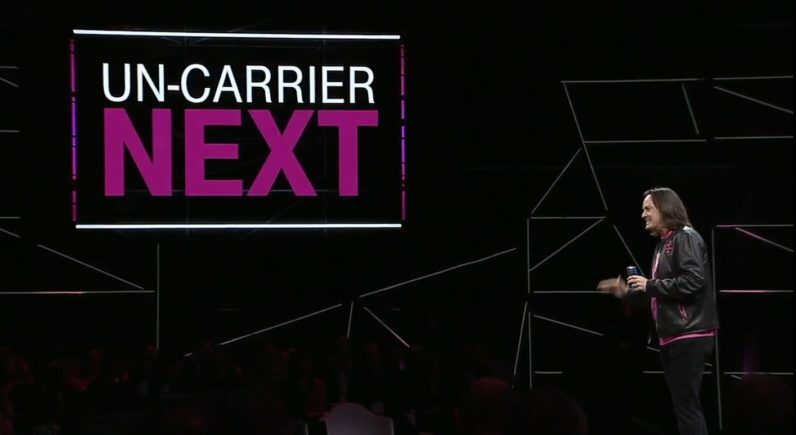 At its Uncarrier Next CES event in Las Vegas today, T-Mobile announced it’s getting rid of data brackets. All of its plans will be ‘unlimited,’ without a worry about speed throttling for most users. Moreover, T-Mobile is actually going to pay you back for data you don’t use with its new Kickback program. If that sounds familiar, it’s because that’s similar to what Google Fi already does. It works a bit differently here though: For every line on your account that uses less than 2 GB of data, you’ll get “up to 10 dollars back” on your bill the next month. That means customers actually have an incentive to try and use less data, but have the option to use as much data as they like when they need it. Of course, you can still retain your old plan if you’d like, but so far, it sounds like a pretty good deal, and perhaps better than Google Fi – which charges $10 per GB – if you frequently use a lot of data. In fact, T-Mobile says it’s been working towards this goal since it first announced its T-Mobile One plans. The new plans arrive on January 22nd, with Kickbacks setting in for February’s usage. Existing users can also transition to the new plan as well. And customers who switch over from another carrier will get a $600 credit – no trade-in required. Of course, we’ll have to look at the fine print. T-Mobile’s current plans throttle users who use more than 28 GB of data during congested times, and tethering is limited to 3G speeds by default, so it’s no the data free for all some of us hope. Still, given what the other big networks are offering, it looks like T-Mobile is on track to continue its great streak the last few years.